Sanjeev Kumar always excelled amidst galaxy of stars! Yeh haath nahi ... phansi ka phanda hai…. Remember this iconic dialogue of yesteryear actor Sanjeev Kumar in the super hit film SHOLAY, when he seizes the deadly dacoit Gabbar Singh, who is on a run from jail. The theatres echoed with thunderous applause and whistles when Sanjeev Kumar uttered this dialogue. 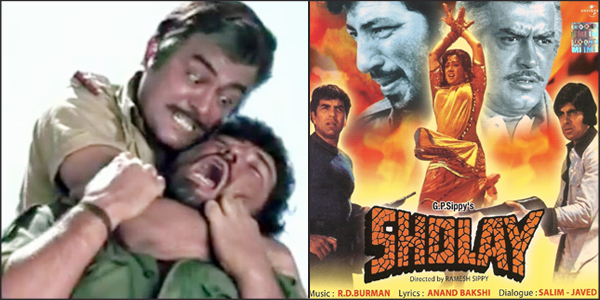 Though SHOLAY was packed with two most powerful superstars of India Cinema Dharmendra and Amitabh Bachchan, yet it was amazing that Sanjeev Kumar who was not a star but a competent and proficient actor, walked away with all the laurels in the film. It was not just SHOLAY but in all the multi starrers of the 70’s in which Sanjeev Kumar acted he would arguably take away the cake. 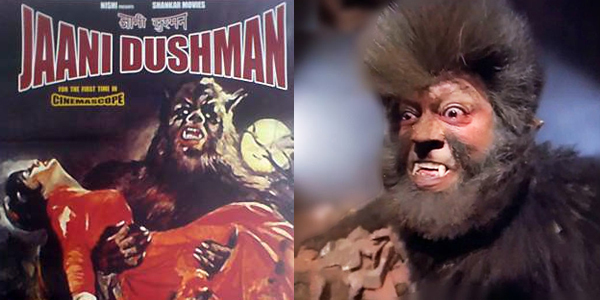 The best example that comes to mind is Rajkumar Kohli’s directed horror thriller JAANI DUSHMAN (1979). The movie boosted not one but FIVE top notch stars of the 70’s viz. Sunil Dutt, Shatrughan Sinha, Jeetendra, Vinod Mehra and Vikram (Who had just gained stardom after his hit film JULIE) and an equal number of top heroine’s viz. Rekha, Reena Roy, Neetu Singh, Bindiya Goswami and Sarika. In nut shell the star casting was awesome but despite the galaxy of these stars Sanjeev Kumar as usual was at his peak excelling amidst these galaxies of stars with his towering performance. And what’s more Sanjeev Kumar was not doing a run of the mill role of a father or a hero singing songs round the bush with a heroine but instead he was playing the central role of a deadly ‘monster’, who cruelly kills the new brides, on their wedding day, in a village. Sanjeev Kumar had never attempted such a wicket role before but kudos to him as he infused much menace and ruthlessness in to the character so much so that it was his exceptional performance that became the film’s plus point and the movie became super hit. Till date JAANI DUSMAN remains the ONLY horror film to not only set new box office records but is regarded as the best horror film of Indian Cinema! Nov 6, marks the 30th death anniversary of Sanjeev Kumar; Raaga.Com pays him humble tribute.